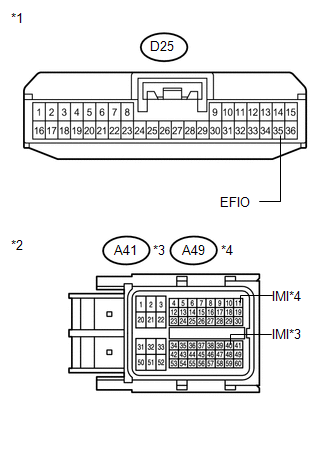 If the communication line (EFIO - IMI) to the certification ECU (smart key ECU assembly) is stuck high output (e.g. shorted to +B), the ECM stores this DTC. When the communication line (EFIO - IMI) between ECM and certification ECU (smart key ECU assembly) is stuck high output. Waveform is output normally (see illustration).